Will a new player help make Android even better? 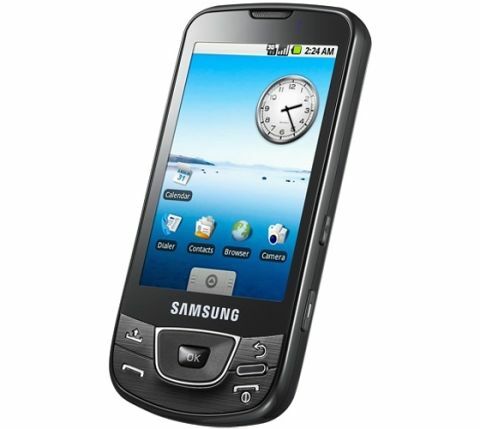 Update: click here for our Samsung Galaxy Portal i5700 review. Samsung's new i7500 Galaxy makes it the first manufacturer after HTC to enter the Android game, and it does so with a fairly feature-rich phone. Exclusive to O2 in the UK, the Galaxy is a sleek proposition, but is it enough to consider the Koreans firmly in the Android game? The i7500 Galaxy has three obvious features when you pick it up: it's very slim at 11.9mm thick, it feels very light at 116g and the 3.2-inch screen might not seem very large, but it dominates the chassis. The screen also packs Samsung's latest OLED technology, which makes the display bright and vivid. The overall feel of the phone mirrors that of the Samsung Jet - it has a similar (if larger) layout on the back of the phone, and has a weird spring-like response when you tap it as the haptic feedback device inside is clearly finely balanced. The phone has a different key layout to the other Android phones we're used to, with the search button dropped and the home key squashed between the terminate and back buttons. And instead of the trackball, Samsung has slapped a large D-pad with an 'OK' button at the heart of the layout, which takes up a lot more space and in all honesty isn't really necessary. One of the beautiful things Android gives is a finger friendly design, meaning the amount of times you need to reach for the D-pad is minimal, and is mostly limited to moving between letters when inputting text and changing fields. We'd have preferred it if Samsung had shrunk the D-pad down considerably and instead given us a larger home button, given how important that is. The left side of the phone houses the up/down keys, which are limited to volume control in nearly every application, which is irritating when you want to adjust things like screen brightness without having to use a touchscreen slide bar. The top of the phone has the 3.5mm headphone jack along with the easy-to-open microUSB port, with the former well placed for headphone use, never getting in the way when in the pocket. The right-hand face of the phone holds the lock key and camera shutter, with the former a small button that will likely irritate the life out of Samsung i7500 Galaxy users (more on that later) and the latter sporting a nice design, with a good segmented press for auto focus. Again there's no front facing video camera, as current iterations of the Android OS don't seem to support it, but that's no great loss at the moment. Overall, the layout of the Samsung i7500 Galaxy is fine – it's a little wide at 56mm, but overall it fits just about well enough in the hand and is pocket friendly thanks to being slim and light. Other than that there's a Samsung New PC Studio CD for connecting to the PC, a set of 3.5mm headphones with basic hands free/music controls, and a microUSB charger and USB connection lead, as well as the phone itself and the user manual. It's a nicely put-together box and feels solid. However, if you're going to spend over £240 for a phone on contract, then you probably want it to be packaged nicely.